Edited by two leading child psychiatrists from the US and Europe, and a leading general psychopharmacologist, this book is designed to keep busy clinicians up to date with the most recent developments in treating childhood psychiatric disorders. 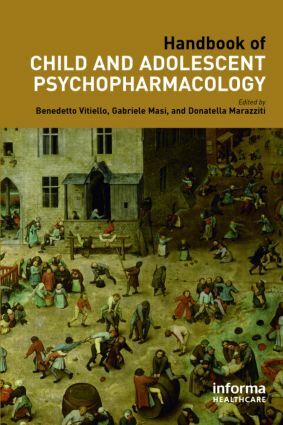 The opening chapters of this book will provide a thorough grounding on the neurobiology of childhood psychiatric disorders and an overview of the pharmacology of current psychotropic compounds used in treating paediatric patients. Following chapters will then focus on optimal drug treatment for individual conditions, including mood/anxiety disorders, obsessive-compulsive disorder, attention-deficit hyperactivity disorder, personality disorder, eating disorders, and psychosis/schizophrenia.